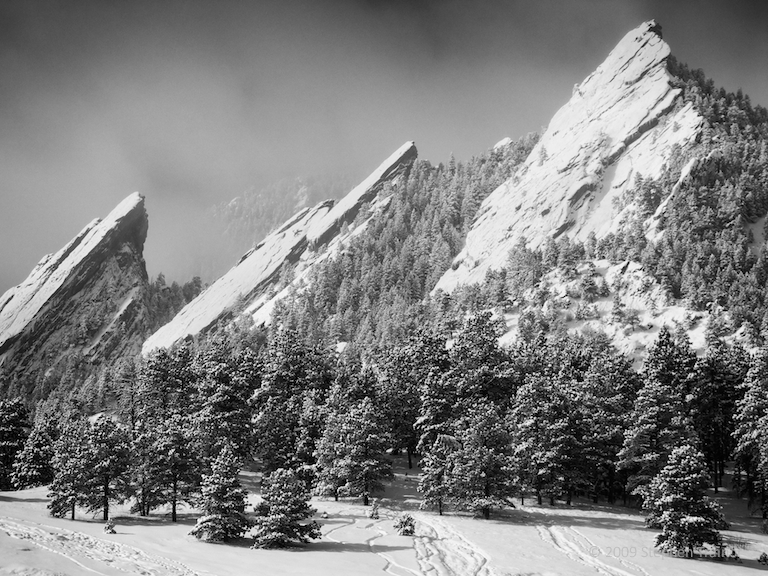 Boulder has been on the leading edge of Green since the late 1800’s. Pretty innovative and forward thinking folks. Boulder was the first community to tax itself and proceed to buy surrounding parcels of greenspace. Boulder wants to take it one step further by reducing greenhouse gas emissions. Good ! In the residential sector the focus is on education and cutting back where we can, to conserve energy immediately; Change to cfl’s those odd new light bulbs that over time save about $30 per bulb (choose the “warm or brighter ones at 80 Lumens (not watts) or greater), or by walking, biking (map it at www.mapmyride.com ) or carpooling (find someone compatible to ride with at www.zimride.com) to work to save on gas money and emissions. The city of Boulder offers its water customers rebates for installing new high efficiency toilets, washing machines, drip irrigation systems, programmable sprinkler controllers, and even soil amendments. Buy local organic produce. Don’t use the air conditioner every time the temperature rises above 72 degrees. Change out that old refrigerator that is sucking more energy than a fully loaded Hummer pulling a 42’ Airstream. The third area is one of renewable energy. We haven’t gotten to the point of sophistication (in Boulder at least) where we can choose the source of our energy production (either solar or wind generated) however there are great tax credits and energy credits from Xcel still available for the purchase and installation of photovoltaic systems. I know several people that have had these installed and their electrical meters run backwards! They are putting energy back into the grid and money back into their pocket ! Winters’ Coming Are You Ready? When you buy Boulder real estate certain seasons require attention. Winter being one of them. We live in such a great place and owning a house in Boulder is such a blessing. Winter is coming and a little deferred maintenance is in order. You know the stuff you put off because you wanted to put in more miles on your road bike with your buddies? Well it is ready and waiting. With just a few hours of focused attention you can knock this out in no time at all. Clean your gutters. Remove dead leaves and hose out those gutters (if it’s warm enough) so ice doesn’t build up and to make way for melting snow . Check for leaks and misaligned seams, and be sure the downspout is moving water away from your foundation. Block leaks. Caulk windows, weather seal doors, insulate recessed lighting, and electrical outlets. Find the leaks, then seal properly inside and outside. The average American home has leaks that equal a 9-square-foot hole in the wall. Insulate. Most homes don’t have the 12-inch minimum of attic insulation – if you can see the joists (10 or 11 inches high) then you can save heating money by adding more insulation. If you’re layering on top of an old layer, be sure to avoid the kind with paper backing – it can act as a vapor barrier and cause moisture and mold and mildew problems. Check the furnace. Turn it on before it gets really cold to make sure it’s working properly; it may omit a strong smell for a short time, if it lasts for long call a professional. Furnaces should be cleaned and tuned annually. Get your ducts in order. The US Dept of Energy tells us up to 60% of heated air can be lost if ductwork is not well installed or insulated. Check the ducts where you can see it, and fix gaps and pinched pipes. Also be sure to vacuum out ducts at least every few years to remove old dust, animal hair and other junk that can cause respiratory problems. Face your windows. Switch out the screens for storm windows if you have them. If your windows are leaky or drafty, plan to replace them over time, but for now use a window insulator kit (plastic sheeting covering window interior) as a low-cost solution. Check your chimney. Better done in the spring, chimney cleaning and inspection is not wasted this time of year. Especially if you have a wood stove, check that your chimney is working and clear of debris, and add a protective cap on top next year if you don’t have one yet. And of course close that damper after each use to keep your warm air inside. Reverse that fan. Enjoy that warm air you’ve paid for by pushing it down from the ceiling. 10. Check those alarms. While you’re at it, this is a great time to check the operation and change the batteries on your home’s smoke and carbon monoxide detectors.